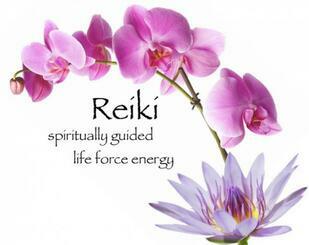 Our typical Reiki session lasts 60 minutes. At your first appointment, you’ll meet with your reiki practitioner. You’ll have an introduction or chat about the process and your expectations or intentions. Let your practitioner know about any symptoms you want addressed or if there are places in the body on which you’d like them to focus. Also, let the practitioner know if you have any injuries or places that are sensitive to touch. Most of our sessions begin with/include a meditation practice as well. You’ll be instructed to lie down on a treatment table. They will cover you with a blanket. Usually soft, relaxing music will be playing in the background. For the most part there won’t be any talking during the session, but you can feel free to let your practitioner know if there’s something you need to feel more comfortable or to share what you’re experiencing. The practitioner will move their hands around your body. They may touch you lightly or have their hands just above your body. You may experience sensations in the body such as heat or tingling. Some people report seeing visualizations such as colors or pictures, or having memories appear. Try to allow whatever arises to pass without attaching too much meaning to it. Your experiences may become deeper the more you continue with reiki. Where is my Session Done? Meditate now offers "The Private Space at Meditate", it is a private session/treatment space located on the second floor of our building. When you come for your session check in at the studio and you will be directed up to the assigned private space for your session. ​Wear clean, loose-fitting, comfortable clothing. You may wish to wear natural fabrics such as cotton, linen, or silk. Remove your shoes, jewelry, and glasses before your session, and keep your phone switched off or leave it behind. Drink plenty of water after your session. Some people feel calm, peaceful, or energized. You may also feel tired. The cost of a reiki session at Meditate generally costs $95.00 for an hour. Our practitioners sometimes offer other links and you can discuss that with them at the time. We do not accept Health Insurance.